It takes quite a lot of discipline and training to see oneself playing in the top American football league, having a clean record at this stage furthers demands a whole lot of focus and dedication, but it is often not an easy feat to achieve and maintain for some players. In this regard, a suspension often suggests a reversal of fortune that should have player rethinking the choices that brought them to that point. Josh Gordon, who is a wide receiver with the Cleveland Browns in the National Football League (NFL) knows exactly what this phase is like having been suspended many times. Josh is a talented player, who in 2013 (in his second season) was a first-team All-Pro selection, but he has equally had multiple suspensions ever since he started his professional career. We will consider some facts that you need to know about Josh Gordon’s suspension and reinstatement below. For good reason, the NFL has strict substance abuse policies that are essential in a sport as physically challenging as football. The policy not only looks out for the welfare of individual players but for the player’s team and other players in other teams that have to share a field with the player. Sometimes, footballers go beyond what is permissible to consume substances that will enable them to perform above par. For this, there are laws which have been enshrined to warn and guard against such. Josh Gordon has failed several drug and alcohol tests that have led to his multiple suspensions by the NFL. Josh Gordon played college football for Baylor University after he accepted an athletic scholarship from them. In 2010, police discovered marijuana in a car that belonged to a teammate who he had been out around town with. His teammate got kicked off the team, but Josh Gordon was suspended. He failed a drug test in July 2011, testing positive for marijuana, and he was then suspended indefinitely by the head coach of the team. He eventually transferred to the University of Utah in August 2011 and had to sit out the 2011 season because he declared too late for the Supplemental Draft in 2011. The NFL announced Josh Gordon’s first suspension as a professional football player on the 7th of August 2013. It was for violating the NFL’s substance abuse policy and it lasted only for two games. Josh still managed to finish the season being named the Cleveland Chapter PFWA Player of the Year and was also voted to his first Pro Bowl selection, finally being named the first-team All-Pro. In 2014, he was suspended again for one whole year after he was arrested for driving while impaired. His suspension got taken down to only ten games after a new NFL policy came into effect and he got reinstated that same year in November. He was suspended again in December 2014 this time by his team for a violation of their own rules. The entire 2015 season passed without Josh Gordon being played once because he violated the NFL’s substance abuse policy again. This time around he tested positive for alcohol use and got himself suspended. Around that time he was also required to enter the NFL’s substance abuse program because he had pleaded guilty to driving while impaired for the case in 2014 that he was arrested for. He had been prohibited during the duration of the program from taking any alcohol. Josh applied for reinstatement in January 2016 but his application was denied after it got reported that he failed another drug test. He was finally reinstated in July 2016 and could join in training camp but still could not play in the first four games of the 2016 regular season. 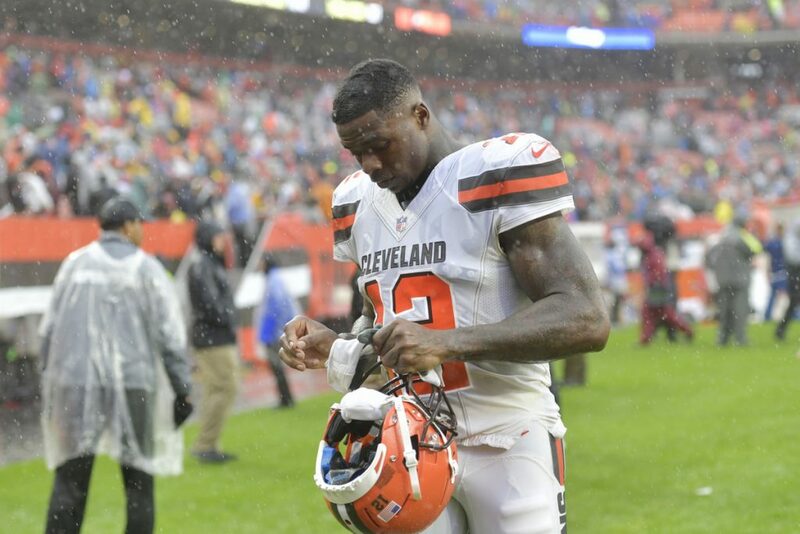 Despite his reinstatement in July 2016, Josh Gordon entered himself into an in-patient rehabilitation facility writing in a statement that he wanted to gain full control of his life and reach his full potential as a teammate and person. He reapplied to the NFL for reinstatement in March 2017 but was denied and was only finally reinstated on a conditional basis in November 2017. He was finally able to score his first touchdown since 2013 in a game against the Packers on the 10th of December 2017. It seemed that all was finally right as the 2018 season started and Josh Gordon even managed a late-game reception for 17 yards as well as a touchdown that helped the Cleveland Browns to tie with the Pittsburgh Steelers in the one game that he played on the 9th of September 2018. The very next week, however, the Cleveland Browns announced that they would be parting ways with Josh Gordon because he had violated the team’s trust. He was alleged to have come late to practice and acted “not himself”. The team traded him to the New England Patriots ending their journey with him though he received no suspension.